The Geek Culture Forums! : Zombie Apocalypse! » The Geek Culture Forums! » News, Reviews, Views! » Your News! 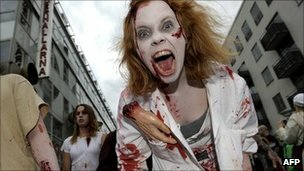 » Zombie Apocalypse! Ok, so I'd had a dram or 3 when I read this, but it really made me laugh.